@Tony3dr are we in contact with Aerotenna regarding issue 9917? @JingerZ, Yes they are aware of the issue. The last contact we had was 9/11/2018, via email. We sent an email to Dave and Zongbo from Aerotenna. The new bash startup scripts require a slightly different installation. We need updated install helpers and documentation. 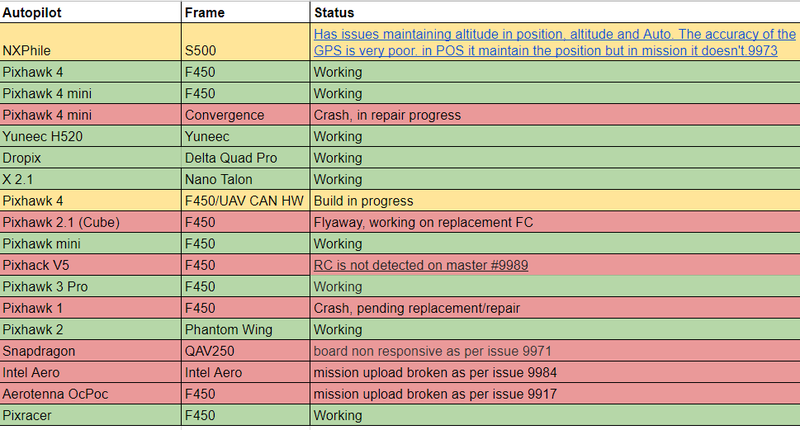 We should probably be building a PX4 package with the binary, startup scripts, airframes, and system init rather than relying on manual setup (copying a collection of files and writing into rc.local). The driver spamming FIFO Count (likely a startup issue). @dagar suggested we need a developer with an Ocpoc to work through a few issues.